Denmark has the highest projected government spending as a percentage of GDP, with 58.4 percent. France and Austria also have notably high expentiture percentages, even above Noric countries Finland and Sweden. Greece doesn't have that high government spending after all with 48.3 it is around the average. 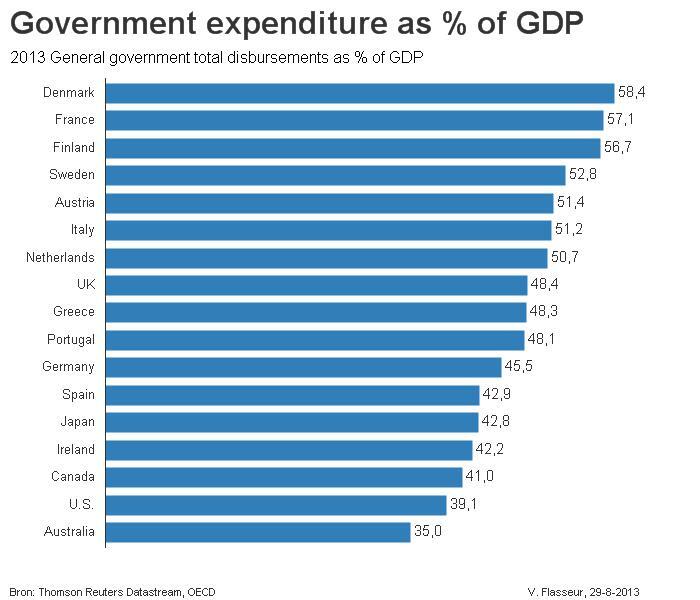 Australia has the lowest government spending for the selected countries.